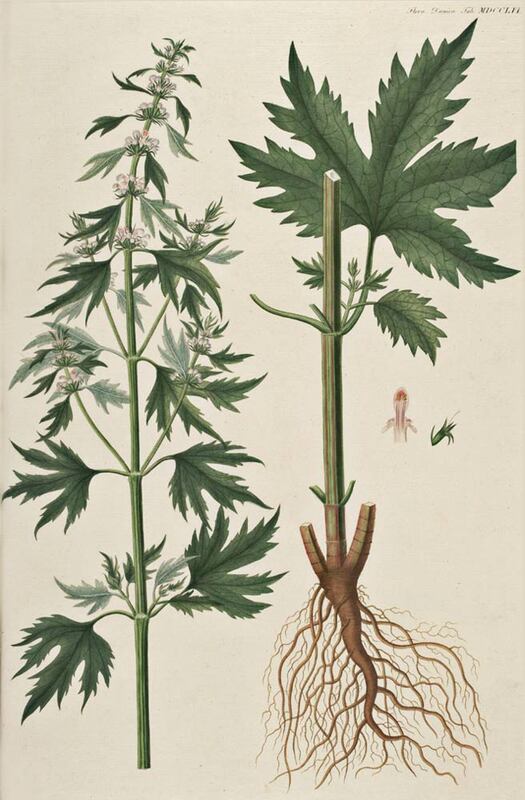 Motherwort is so-called because it is considered to be the “mother” of all worts, the Old English term for herbaceous plants with remedial qualities or that provide fermentation for beer-making. Also known as lion’s tail, lion’s ear and heartwort, motherwort has a long history of use as a tonic herb and, as one ancient writer has suggested, as protection against “wykked sperytis.” The presence of alkaloids in the plant that may act on the heart necessitates caution with using this herb internally unless under the guidance of a qualified health care practitioner experienced in its use. Leonurus cardiaca is a herbaceous perennial plant in the Lamiaceae family. The plant grows to about 60-100cm in height; and has a square stem and opposite leaves. The leaves have serrated margins and are palmately lobed with long petioles; the basal leaves are wedge shaped with three points, while the upper leaves are more latticed. Motherwort's flowers bud in the axils of its leaves on the upper part of the plant. Blooms appear in the summer months (June through August). The pink-to-lilac colored flowers are small, and often have furry lower lips. The botanical name, Leonurus cardiaca also comes from the greek. Leon being "lion", ouros for "tail" and kardiaca refers to the heart. Viscum album is native to Europe as well as western and southern Asia. Motherwort grows along roadsides and in other partially shaded, low-traffic areas such as vacant fields. 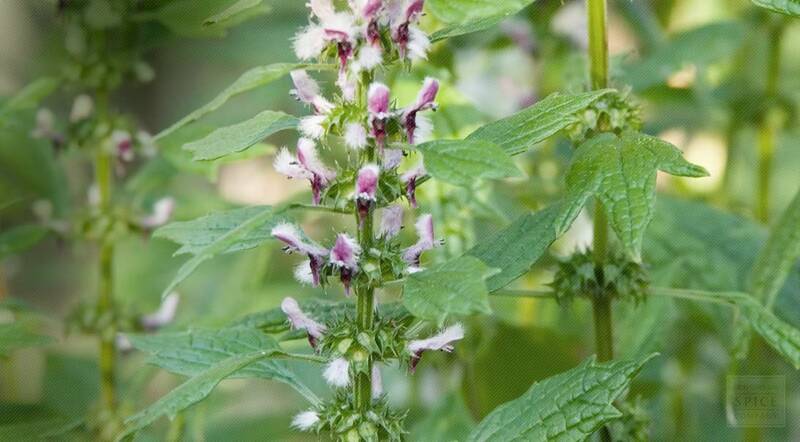 Motherwort prefers soil that is light, slightly alkaline and well drained. Motherwort can be easily grown from seed. It will reseed and return each year if it is allowed to set seed at the end of its growth cycle. As you may have deduced this plant is considered very invasive so extra care should be taken, cutting the stalks before seeds drop will help prevent invasion. The plants should be harvested while in full bloom. Cut the entire plant at the base of the stalk and hang upside down to dry. Be sure to leave a few stalks to self seed. Store dried motherwort in an airtight container in a cool, dry place.